4. Edwards Theology of Everything. If you’ve listened to Reeves before, you will know that his passion and knowledge of church history and it’s figures is incredibly engaging. 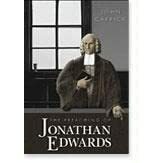 Johannesburg, South Africa, John Piper and Conrad Mbewe reflect on the conviction of Jonathan Edwards in keeping his famous resolutions. Piper opened the conference with a message on “For His Name’s Sake” which considers the sweep of redemptive history which demonstrates God’s zeal and love for himself. Piper’s second sermon was vintage Piper, and was fitting, as Piper talked about one of the most significant things Edwards said that had a tremendous impact on Piper’s life. “God is most glorified in you when you are most satisfied in him.” If you’ve never heard Piper on this subject, then this is one you will want to hear. Conrad’s messages surrounded Romans 12:1. In his first message he asked 2 questions: 1. What keeps Edwards resolutions from being mere legalism? 2. What motivated him to define and keep these resolutions? The answer is that the fountain of grace brought in a fresh supply to him. In Conrad’s second message he asks 1 question: What should have Edwards resolved to do in the light of the mercy God showed toward him? Bringing it home to us, he asks if we as Christians are merely giving God a contribution from our lives, or have we completely sacrificed our lives for him. Conrad considers that most of us, if we are honest, are Christian contributors rather than living sacrifices. A phenomenal message. The Saturday night Q&A was wonderful. I love Q&A’s because it’s entirely unscripted and allows me to see how these men think through issues in a candid manner. The questions discussed what their typical day is like, how we should think about some pastors being less gifted than others and the discouragement that might bring. On the issue of dating, Piper believes dating as a matter of having a boyfriend or girlfriend without any intention of marriage is wrong because it is courting danger. But dating (whether you label it courting or not) should be restricted to seeking a marriage partner. On the issue of tithing, Piper said the “tithe” system of 10% that is so prevalent in America is robbing God. If 10% satisfies our sense of giving, we are misled. Giving is to be above and beyond tithing, and to simply set the bar so low that tithing 10% is sufficient for most Christians is Pharisaical. Piper closed the conference on Sunday morning with another vintage Piper message: “You exist to spread a passion for the supremacy of God in all things for the joy of all peoples.” He focused his message on 2 Corinthians 8:1-7. Conrad writes about the conference, and provides photos from it, on his blog A Letter from Kabwata. Dr. John Carrick discusses his new book ‘The Preaching of Jonathan Edwards’ with the team at Christ the Center. Carrick brings fresh insight into the amazing theology and skills of this incredible man. Most surprisingly, Carrick argues that Edwards was not the monotone voiced preacher he’s been made out to be. Edwards taught with passion and earnestness in his delivery. Edwards was also greatly skilled in painting vivid and unforgettable imagery. This month Christian Audio has made available the classic work Religious Affections.